How to reach: While travelling from Parbhani take Nanded highway (NH222) This is between Nanded and Purna. Look for a Krishna temple arch on the highway on the right side. Its 2-3 kms inside and the road is full of potholes. 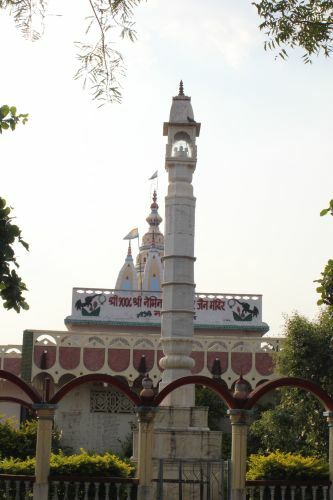 Mirkhel Railway station is 3Kms away from the temple. 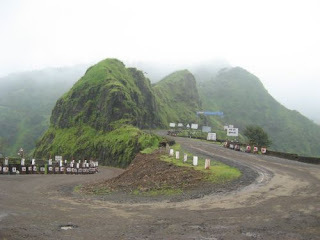 Started from Pune @ 5.30 AM. After a hearty breakfast at smilestone- a popular fastfood joint just few kms before nagar proceed to a bumpy ride on NH222 towards Parbhani. The road is horrible condition. 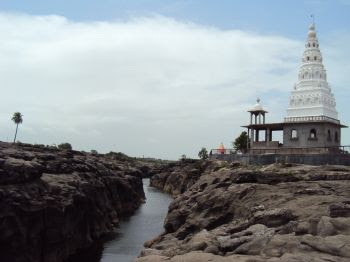 Once we crossed Parbhani we had tough time finding the temple. We took a wrong advice and a wrong turn led us a 10kms wild round in narrow dusty-bumpymuddy tracks around mirkhel railway station. Finally around 3.30PM we reached the peaceful Navagarh temple. 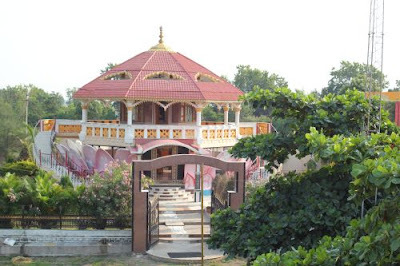 History: Previously this temple was situated in Ukhlad village at the banks of river Purna. 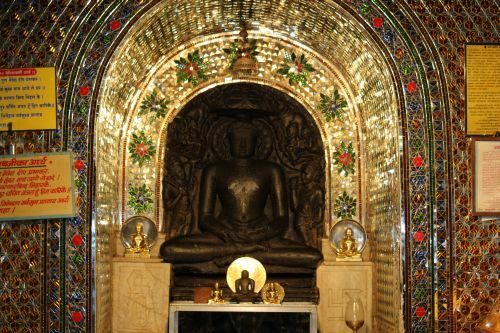 Due to floods the original temple was destroyed but idol of Bhagwan Neminath remained safe. The Nizam government allotted land and new temple was constructed in year 1931 in Navagarh. Legend: It is said there was a paras stone in the toe of the idol of Bhagwan Neminath. The old priest earned his humble living. Whenever he needed money he used to sell an iron needle which turned into gold, whenever it was touched to Parasmani. At the time of his death he let this secret know to his son and warned him never to be greedy. The son followed the instructions and earned his living but in course of time he became greedy. He tried to sell iron nails converted in gold by touch of parasmani. Soon the news reached police who were wondering how the priest had golden nails swooped down in the temple. There was explosion and the Parasmani felt in river Poorna and was never found again. A 2.5 feet high black stoned beautiful idol of Bhagwan Parshvanath in Padmasana posture is installed in the upper portion of the main temple. There is another ‘Trimurti’ temple in front of this temple. 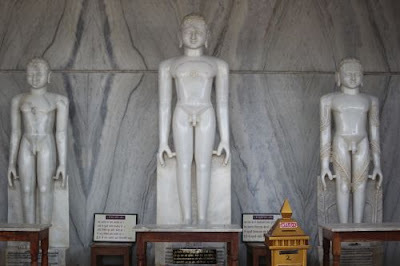 The 7 feet high idol of Bhagwan Adinath and 5.5 feet high idols of Bhagwan Bharat and Bahubali in standing posture and made of white stone are being installed. There is a big Assembly Hall in front of the temple and in front of this hall there is 31 feet high, white marbled column of dignity. Proceeded back to Parbhani and then to Jintur which was 80 Kms away from Parbhani.